The Tax FormsPack is a pre-designed suite of digital mission-critical tax documents for immediate tax forms production. Using the Tax FormsPack, immediately create tax forms and instantaneously preview the finished, printable document. Every pre-designed document in the Tax FormsPack includes all of the elements you need for quick data mapping. You can even preview the completed form on the monitor to eliminate the time-consuming task of uploading forms to the IBM i (iSeries) and printing test copies. 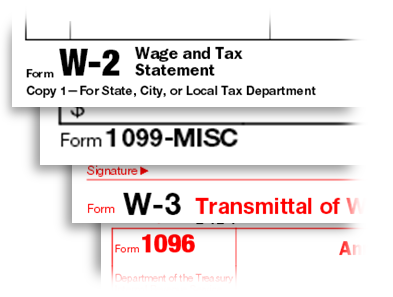 All forms are compliant with current IRS requirements. Quadrant Software also offers a general package, FormsPack for eBusiness, and FormsPacks for a host of other application solutions including JD Edwards, Infor XA ERP, VAI, among others.